Now serving wine and beer, to make an even more inviting setting in downtown’s newly re-opened fine art gallery. A great place to shop for gifts including prints, chocolates, wine bags, clutches, textiles and more. 200 Main represents over 26 artists in a wide price-range, from small prints to bronze sculptures. Intimidated by art galleries? At 200 Main, ALL ARE WELCOME. Stop in to look around; maybe with a glass of wine! Their new delivery has arrived! Thousands of one-of-a-kind gifts are in stock! Shop their huge selection of furniture and home décor at factory direct pricing. Delight your senses, experience tranquility and furnish your dreams at 22 Chevaux! Perfect for college students, your kid’s teacher, co-workers, Secret Santas, and just about any other person on your list, Awards & More Co. features 20 oz. stainless steel polar camel travel mugs. 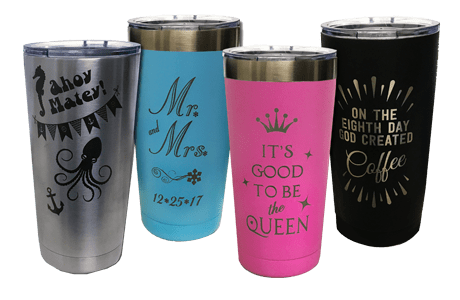 Designed to keep any drink really hot or really cold, these durable thermal mugs are available in silver, black, blue or pink. All design and engraving is included in the price and done in-house tailored to the customer’s request. A gift to delight everyone this holiday. 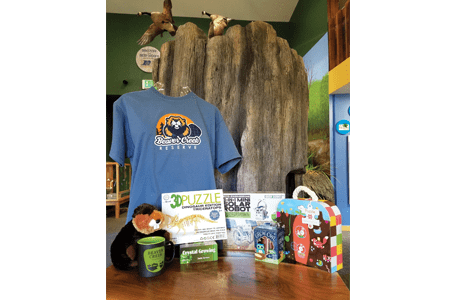 Memberships, gift certificates, and any number unique items from the Beaver Creek Reserve Nature Center are truly heart-warming gifts. And the best part? 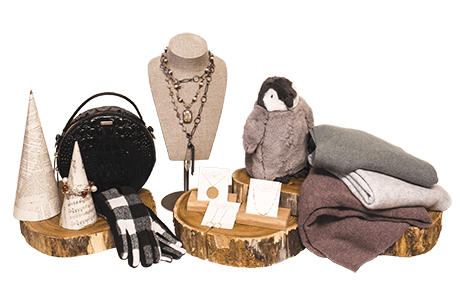 All of these purchases benefit Beaver Creek Reserve, allowing them to provide field trips, educational opportunities, and vital conservation work – right here in the Chippewa Valley! Show off your Eau Claire, Wisconsin, pride! 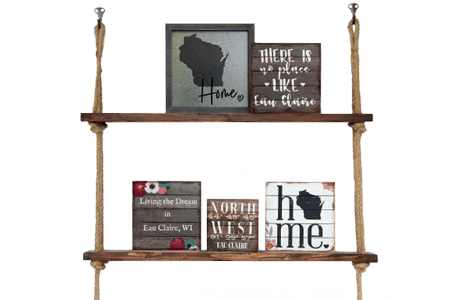 Bed, Bath & Drapery is offering special Wisconsin themed plaques that are the perfect gift for anyone who is proud to be a Wisconsinite. Whether they’re placed in your house, cabin, or anywhere else, these plaques will certainly help to tie your room together. 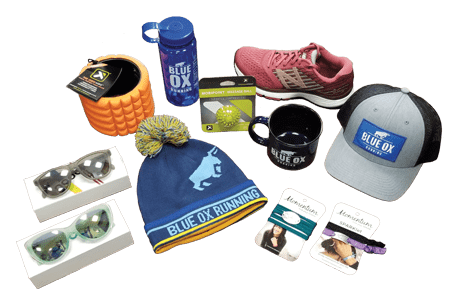 Blue Ox Running is here for all of the runners, walkers, cross country skiers, outdoor lovers, active people, and even folks that just need good footwear in your life! With gifts ranging from $6 to $150+ there is certainly something for everybody’s budget. Come ask about their loyalty shoe program to save money and stay tuned for holiday sales for even more savings. Find them on South Barstow St. for a personalized shoe fitting with trained and professional staff, join them on Thursdays for group runs, or just swing by to shop around! Give the gift of play this holiday season! 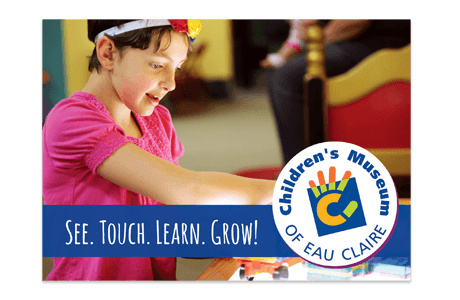 A Children’s Museum of Eau Claire gift card comes with name-your-price convenience and can be used for daily admission to the Museum. Gift cards can also be used on any of the fun and educational items in our Museum Shop! With three floors of hands-on exhibits and hours of fun learning opportunities, the Museum is a favorite for local parents or grandparents. Make memories that will last long after you leave the museum! For 27 years, The Coffee Grounds has worked hard to live well. This holiday season they urge you to do the same! 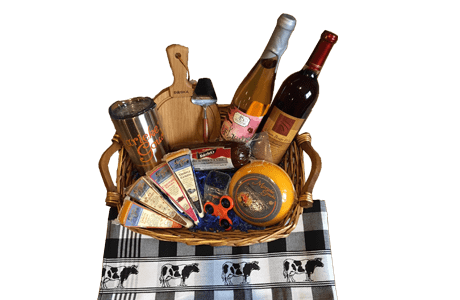 Whether you’re buying for cocktail-lovers, beer enthusiasts, wine aficionados or wannabe-cheesemongers, they have the gift basket for you and yours. Fit to suit any palate and any budget. Shipping available. Cheers! 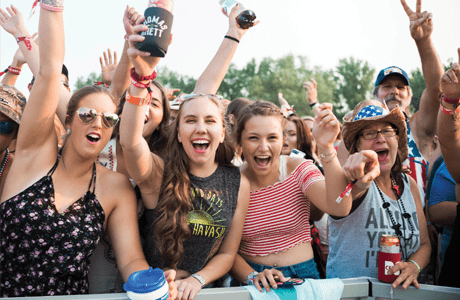 Country Jam USA is celebrating their 30th anniversary with a fantastic 2019 lineup of country music stars! Join them July 18th-20th to see Keith Urban, Jake Owen, Toby Keith, Maren Morris, Chase Rice, and many more! Visit their website for tickets and camping information, and use the code “ volumeone” at checkout to receive $10 off your order of a 3-day general admission or 3-day reserved seating pass (limited quantity). Join these incredible artists to celebrate three incredible days, 30 years in the making! Looking for a creative winter decoration? How about one that’s locally made, and will look good all winter long? 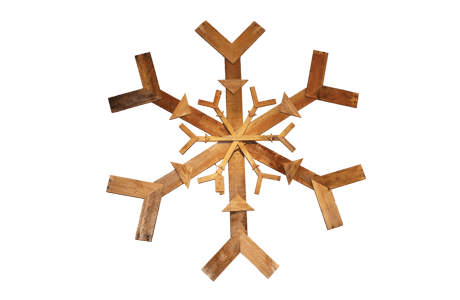 Curvue Hideaway & Trees has your back with this pallet snowflake, created by Tina Pecor. Perfect for anyone that calls the northwoods home. Give the gift of health and relaxation this year with customized basket filled your choice of natural soy candles, therapeutic grade body products, hand soaps, lotions, massage bars and therapeutic heat wraps all locally made by other talented small businesses. Add a gift card to the basket and your loved ones will be sure to be excited to receive this thoughtful gift! 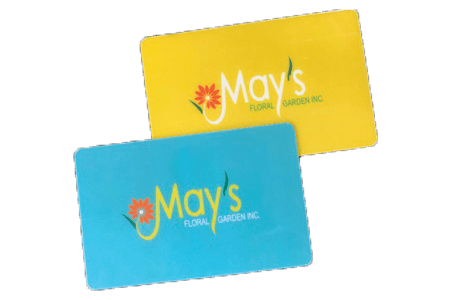 Gift cards can be purchased in person or online. Voted Best Place for a massage six years in a row by Volume One readers! Call, stop in or purchase online. 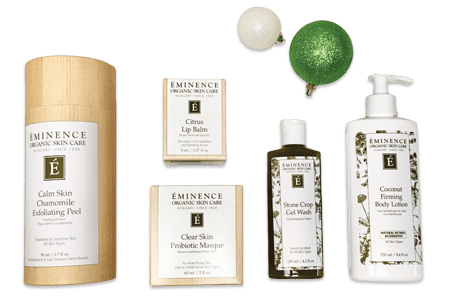 Give the gift of healthy skin this holiday season. From organic and medical-grade skincare products to relaxing facials, they will feel pampered and appreciated by you. Discover your holiday style as well as great gifts for everyone on your list! One size fits all cashmere ponchos are a favorite and available in an array of colors. 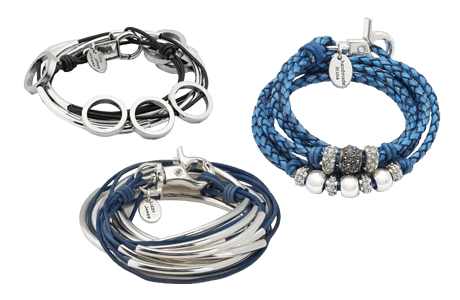 Unique jewelry always in stock: Hello Adorn makes great girlfriend gifts or remind your friends to count their blessings with Blessing Bracelets. Shop their selection of Brahmin leather bags and other fun winter accessories. 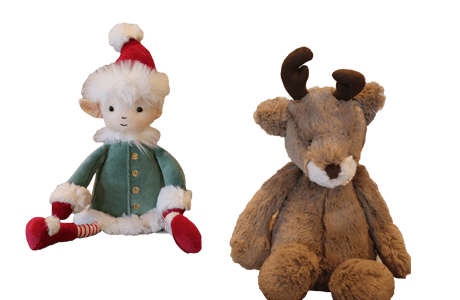 Don’t forget the beyond soft Jelly Cat stuffies for the kiddos! 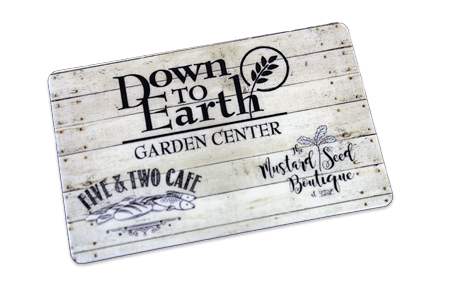 Down to Earth Garden Center, The Mustard Seed Boutique, and Five & Two Cafe encompass a full line of landscaping and lawn care services, a robust garden center, a gourmet cafe, a diverse garden shop, and a clothing and gift boutique. 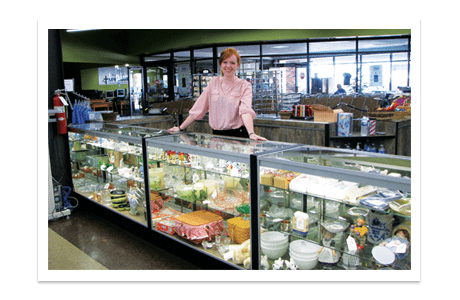 The shopping experience at the Down to Earth family of stores is a gift in and of itself, featuring a relaxed atmosphere and helpful staff. Welcome to winter, where Eau Claire Bike and Sport has got you covered with their selection of new and used snowboards and accessories — perfect for adventuresome holiday gifts. 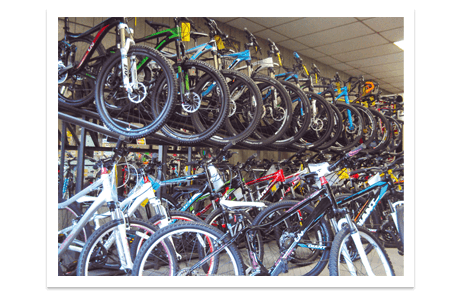 When the snow melts, be ready to enjoy the outdoors with bikes, skateboards, roller blades, and more! Tired of trying different diets and different workouts searching for the results you want? This FE24 Personal Training Package is designed to help you or someone you care about get on the right track with a fun and sustainable nutrition and training program. Meet with FE24 personal trainer and receive a nutrition consultation plus three, 30-minute personal training sessions. Offer valid only for new personal training clients to FE24 Fitness. Follow the link to get started today! Foreign 5 features some of the most exclusive apparel in the area with fun jewelry and accessories to add accent to any outfit. 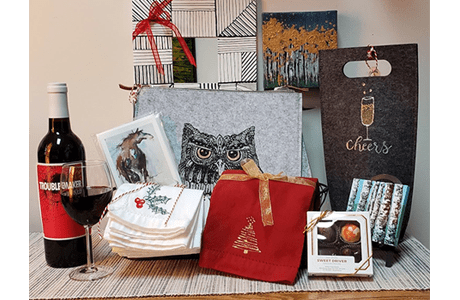 They also have a great selection of wine and other items perfect for gift giving and provide a “uniquely” fun shopping experience. 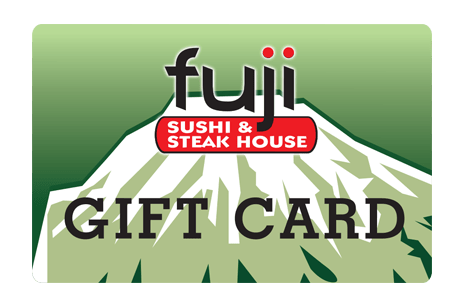 Give a Fuji gift card for the holidays. Buy a $50 gift card, get a $10 gift card free. Buy a $75 gift card, get a $15 gift card free. Buy a $100 gift card, get a $20 free. Offer valid Dec. 1 – Dec. 31, 2018. Gift cards do not expire! Experience a unique shopping destination. Spend an afternoon or an hour, you are sure to find what you’re looking for to make your home your Oasis. They offer a unique garden and gift shopping experience, complete with a well-stocked nursery and greenhouse. Stop in and check out the outdoor display areas and extensive selection of unique plants, landscape supplies, garden necessities, decor, and ladies apparel. Support a great cause when you shop this holiday season. Your purchase will help individuals in need right here in our Chippewa Valley community. Plus, mention this Volume One ad to get a FREE $5 store gift certificate with a purchase over $20! 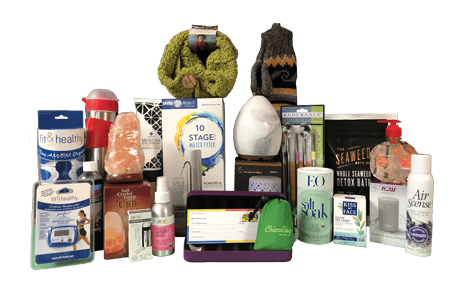 Give the gift that can truly impact the life of your friend or family member for the rest of their life – the gift of health and wellness. 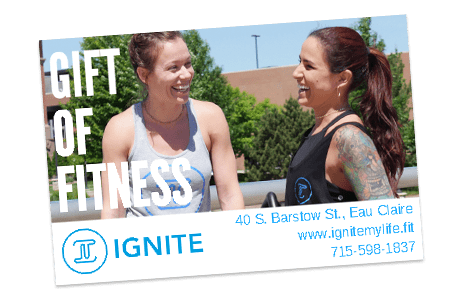 IGNITE is a unique blend of strength training, conditioning, and yoga, with a focus on impacting your body and your mind. Along with Nutrition Coaching, the fun and challenging classes are designed to help you reach your goals in health, fitness, and lifestyle. 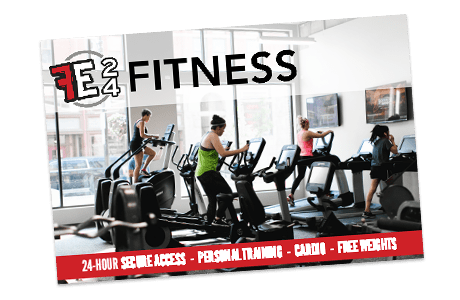 Experience downtown Eau Claire’s newest and most unique addition to health and fitness. 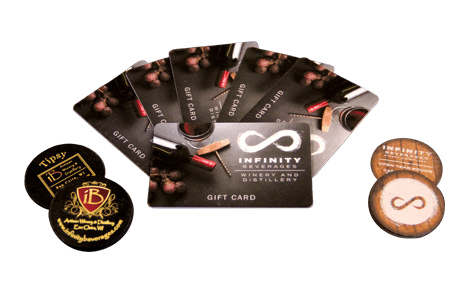 For anyone that loves wine, Infinity Beverages Winery and Distillery has the perfect gift. Stop by their tasting lounge and grab a gift card! As a bonus, if you buy a $30 gift card, you’ll receive a tipsy token, valued at $5, which can be redeemed for a tasting, towards a cocktail, or towards a bottle of one of their fine products! 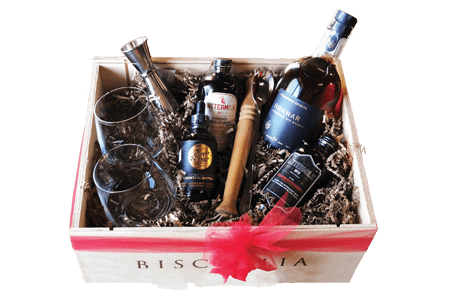 Give the gift of local wines and spirits this Holiday Season! 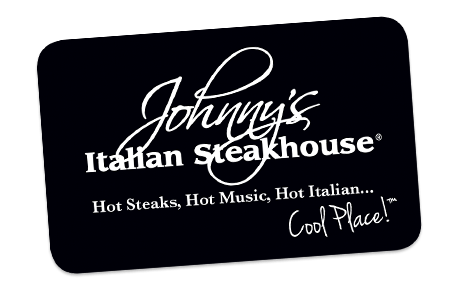 Voted Best Restaurant for Upscale Dining and Best Steak by readers in Volume One’s Best of the Chippewa Valley Reader Poll, Johnny’s offers deliciously amazing, unpretentious food with a casual dining experience in an elegant setting. Surprise family and friends with gift cards in any denomination, or choose an exclusive bottle of wine from The Wine Room, with over 30 varietals only available at Johnny’s. Make sure to visit Johnny’s this season for your holiday gift giving. 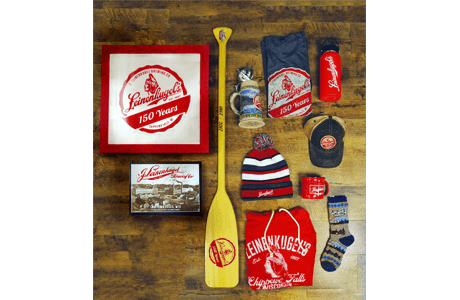 Stop by the Leinie Lodge to satisfy your holiday shopping needs and join them for a historic brewery tour. 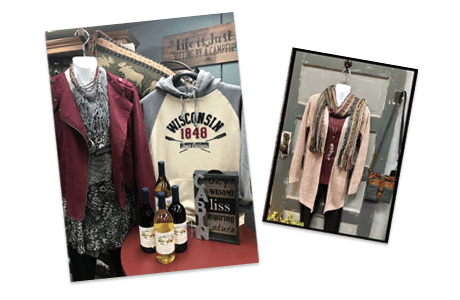 You can even enjoy Leinie’s samples while you browse unique Leinenkugel’s gifts. Check out merchandise online at www.Shop.Leinie.com and sign up to receive weekly sales. Join the Leinie Side on social media on Instagram, Twitter and Facebook @leinielodge. 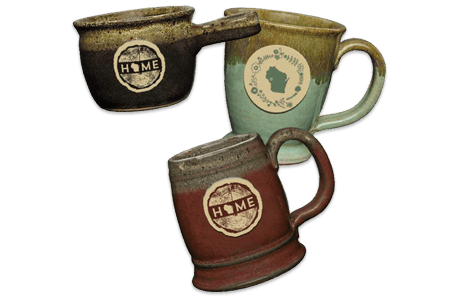 These beautiful stoneware pieces are designed in-house and made in Wisconsin by our local partner, Sunset Hill Stoneware. They’re hand-thrown pottery pieces that are hand-adhered, hand-dipped in glaze, and well you get it - completely made by hand. Happiness is a “state” of mind. Enjoy sipping your tasty beverage out of a unique mug that makes you happy! 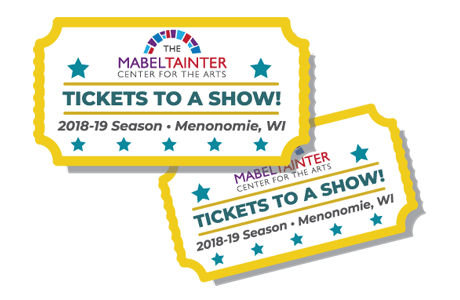 Treat your family or friends to tickets to a show at The Mabel! With a range of performances from holiday classics, longtime favorites, to a new comedy series, there’s something for everyone at The Mabel. Don’t know which show to select? Gift certificates are available in person, online, or by calling the box office. People, this is Wisconsin. You can’t go wrong with the gift of cheese. These gift boxes feature your choice of award-winning, Marieke Gouda and you can add local wine, snack sticks, fine chocolate, specialty crackers and more. Order before December 12th for guaranteed delivery before Christmas. Visit their website or stop by the store to view options. Eau Claire’s largest floral shop and garden center has something beautiful for everyone. Shop year-round in a lush, beautiful, warm and tranquil location filled with floral goods, garden items, houseplants, holiday décor, one-of-a-kind gifts, jewelry, and even clothing. May’s has a fun, festive environment with tons to choose from. Buying gifts for people of all ages? Mother Nature’s Food has you covered with a large selection of essential oils, diffusers, and health & beauty products. What about that hard-to-buy-for teen? Stainless steel straws or fair trade scarves and mittens would be a hit. Anyone can find a great location for a salt crystal lamp. For that exercise enthusiast, what about a pedometer and a yoga mist? Or if you just don’t know what they might like, a gift certificate is always the way to go. Stop in and they can help you check things off your list. Find the perfect cap for the men, women, and kids in your life at Muldoon’s Men’s Wear, a local staple for over 68 years. Broner, Pendleton, Dobbs, and Stetson men’s wool blend work caps feature earflaps and are the perfect caps for the outdoors, whether for work or play. 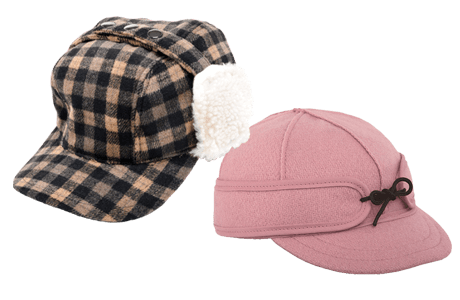 For the kiddos, protect against harsh weather with the Stormy Kromer wool blend “Lil” Kromer’ with six panels of fine preshrunk wool, dashing tie-down earflap, and a soft brim. Their knowledgeable staff can help you find lots of other hat, socks, and accessory options in store or online. 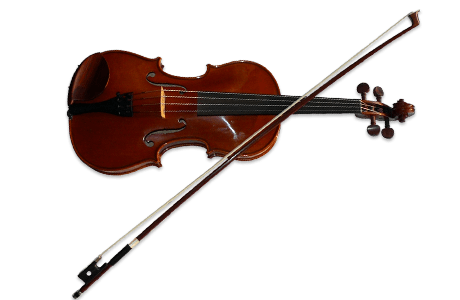 In addition to a wide variety of string instruments—from rentals and starters to fine instruments and bows—Offbeats also offers lessons for all ages and skill levels on a variety of string instruments and piano. But why stop there? They also provide music, accessories, and even event performers for your holiday parties. Gift cards available! 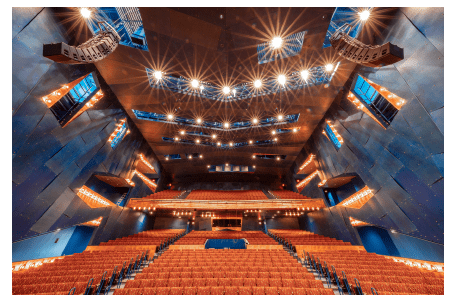 Give the gift of Pablo Center this holiday season! Gift Certificates are now available in any amount or give the gift of a season membership, starting at just $55. A great gift for family and friends! Excited to celebrate their first holiday season downtown, Raggedy Man, has filled its shelves with a variety of great holiday trimmings to get your home ready for the holidays. 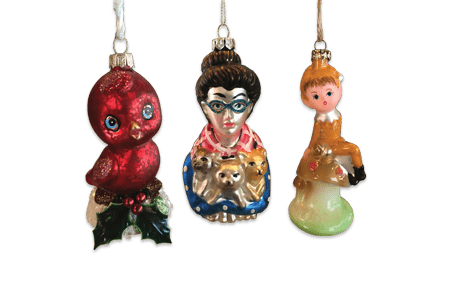 The shop has a large collection of glass ornaments to adorn your tree or give as a unique gift this season. The selection includes flowers, feathers, santas, pixies and many more! Prices start at just $5, making them a fun, affordable, gift for you or anyone special in your life! Hygge is a Danish term for coziness + contentment - what better feelings to give this holiday season to your loved ones? 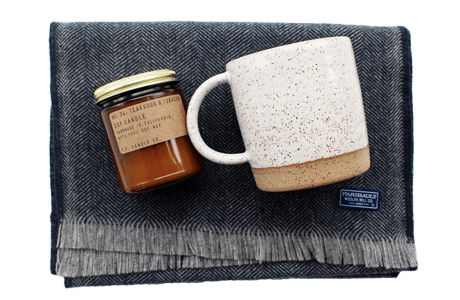 Red’s Mercantile has curated a package that includes a soft, merino wool scarf from Faribault Woolen Mills of Faribault, Minnesota and a hand thrown stoneware mug by Christi Ahee of Chicago. Choose your scarf color. Sets include a 3.5 ounce Teakwood + Tobacco candle (a best seller) by PF Candle. All made in America. Treat your loved ones to something special with a custom-made gift. 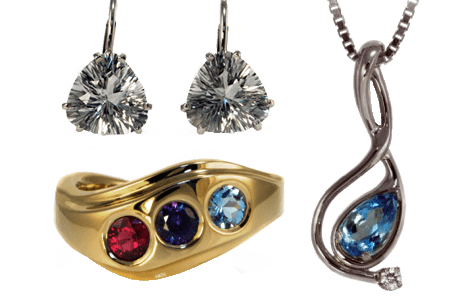 Robert Giede Designs offers you heirloom quality originals like pendants, rings, and earrings — all of them created in-house by skilled hands. And don’t worry. Custom sounds pricey, but Robert Giede Designs has you covered on any budget. 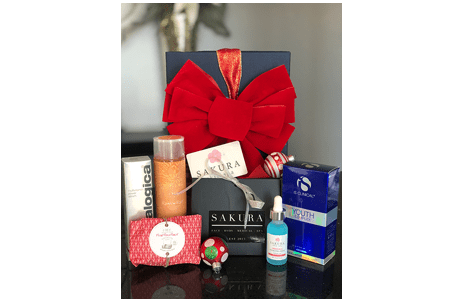 Sakura Skin Spa offers those on your list the gift of relaxation while achieving healthy, glowing skin. They offer relaxing facials using FarmHouse Fresh natural, Naturopathica organic or medical-grade skin care products. They also offer Botox, dermal fillers, and CoolSculpt for those looking for medical facial and body services. With their gift cards, skin care product lines, complimentary consultations, treatments ranging from Hydrafacials to laser treatments and plenty in between, the people on your list are sure to get exactly what they want. 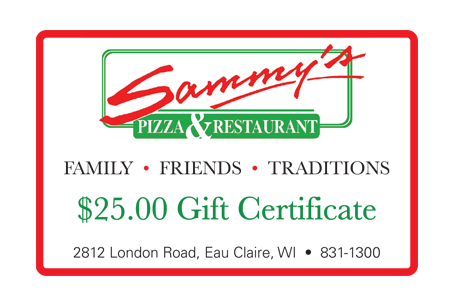 Give the gift of iconic pizzas featuring Sammy’s secret mix of delicious seasonings and signature crisp crust made from fresh dough every day. Or enjoy Genuine Broaster Chicken with its tender, juicy, marinated flavor deep down to the bone! They also offer soups and salads, burgers and sandwiches, and an all-you-can-eat Friday fish fry. Take your favorite photos or fine art and turn them into attractive Canvas Prints. 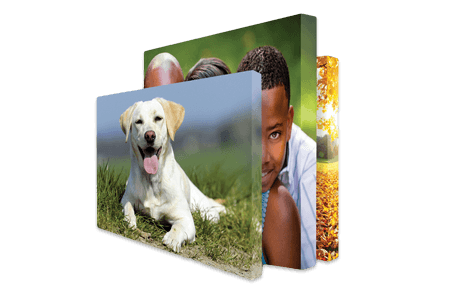 Sharp’s gallery-wrapped, ready-to-display canvas prints come in a wide variety of sizes from as small as 8x10 inches to as large as 30x40 inches. They’re a breathtaking way to show off life’s most important moments. Coffee & bike lovers unite! 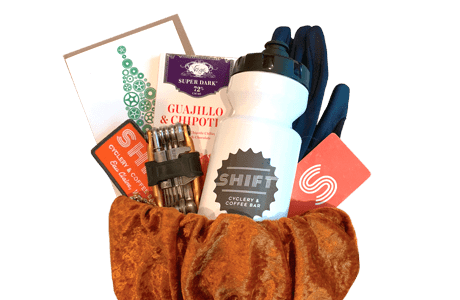 SHIFT has a range of frugal & luxurious gifts, including expertly-roasted coffee, brewing tools, t-shirts, coffee & bike focused books, greeting cards, gloves, gear and all the bells & whistles your beloved cyclist may need. Also in stock: the one-size-fits-all gift card! Enjoy a hot cocoa or cider while perusing the goods and soaking up the friendly vibe at SHIFT. A great gift for all those adults on your Holiday shopping list. This mystery is set right here in Western Wisconsin. A retired detective attempts to solve a decades old murder to clear the name of a family friend. Along the way he finds love, betrayal, frustration and heartache. But will the case ever be solved? 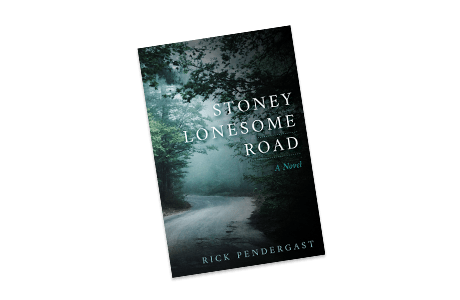 In addition, you are invited to a reading of the book by the author on Saturday December 8th at 2pm at the Local Store.Book available at The Local Store and online. Token’s modern and minimal jewelry is a favorite holiday gift for the hard to shop for women on your list. 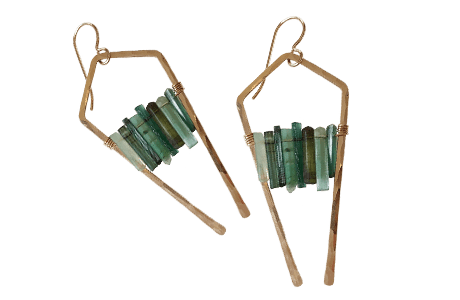 Each piece is handmade in Eau Claire using precious metals and gemstones. 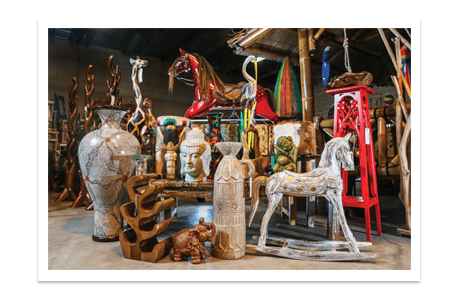 Visit their showroom in Artisan Forge Studios and shop timeless and versatile designs, including best-sellers and many one-of-a kind creations. Or, shop online at your convenience–Token offers free local pickup at checkout, as well as paper or E-gift cards. One of several Dealer-exclusive John Deere toys! Tractor Central is stocked up with tons of toys, from small-scale models to the 12-volt ride on toys on the top of many wish lists. 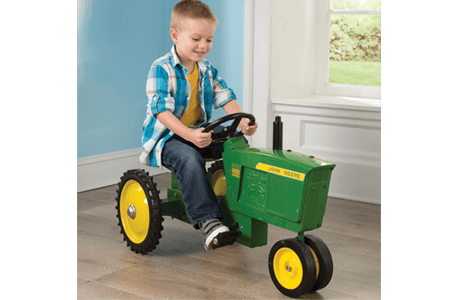 Visit your local Tractor Central to view all the variety of John Deere ride-on toys. Does the shredder on your gift list already have a nice sweater? Well, then – give them the gift of fun on the frosty slopes, or the sweet feeling of soaring through the sky. 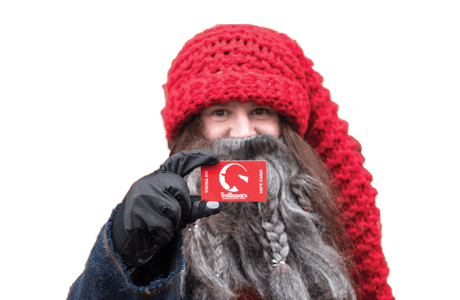 Trollhaugen gift cards are available in any amount, and they’re good for all of Trollhaugen’s fabulous outdoor fun! Introducing the biggest trend in casual dress. You can wear them as a necklace or a bracelet. Several colors and styles available. Each Lizzy James piece is carefully handcrafted in the USA! This is the perfect stocking stuffer!